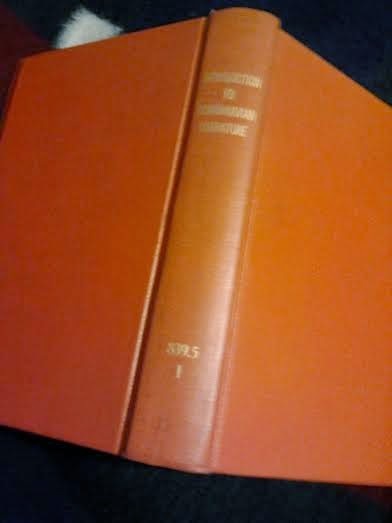 I picked up this book at a library sale a good time ago and just got around to reading it. I thought it fitting to read it now since I've been writing poetry for a couple of barbarian and warrior-esque type anthologies. It read like an academic, scholarly book but if you know me, my obsession with Scandinavia and Viking history, along with my interest in poetry, made it captivating. The book only covered Danish, Swedish, and Norwegian literature, purposely leaving out Iceland and Finland. Hopefully I can find a sister book on their literature one day. 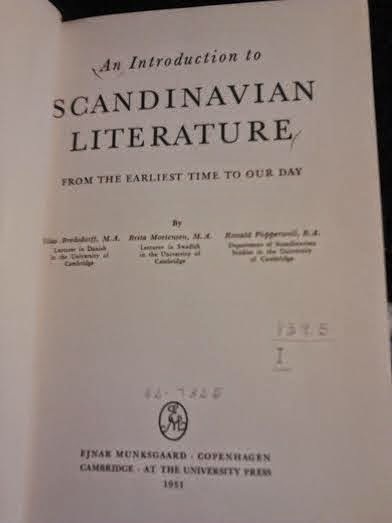 I enjoyed reading the different styles of poetry and prose for each period and was ecstatic to find that Danish poetry was rivaled only by the Scots for the amount of poetry written during the Middle Ages! Their favorite forms were the sonnet, hexameters, and alexandrines! Alexandrines has been a form I have grown fond of over the last few years. I was told it was mainly a French form and was happy to find out differently. I greatly enjoyed this book and would recommend it for the more scholarly read.